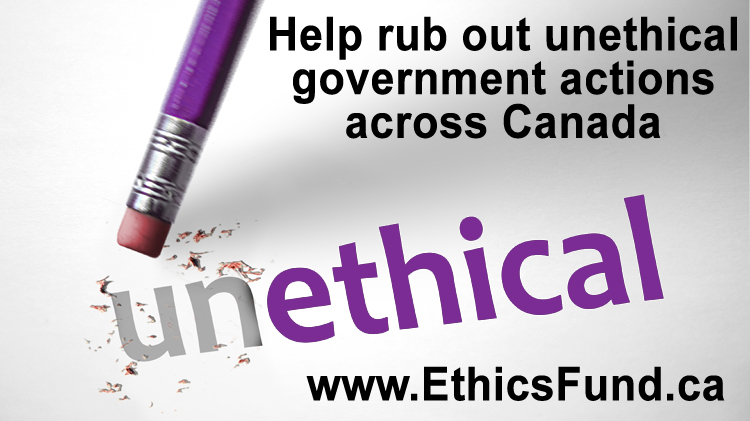 You can help stop unethical government actions across Canada. Democracy Watch regularly files complaints, and launches lawsuits – all challenging unethical actions by politicians, government officials, and lobbyists. You can see the complaints and lawsuits that have been filed since 2016 here. We need your help to pay the costs of pursuing these complaints and lawsuits. Please help by making your donation now to the Government Ethics Fund, and by Sharing and Tweeting this page.